(Ph.D. Columbia University) is Research Associate at Carleton College, where she taught from 2009-2016. She is also currently a Visiting Instructor at Centre College in Danville, KY. Her dissertation, entitled Diasporic Desires: Making Hindus and the Cultivation of Longing explores articulations and representations of religious and cultural identities among Hindus in the U.S. and transnationally. 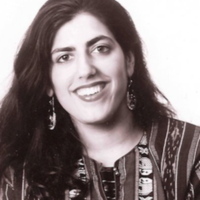 More generally, her work examines the politics of religious identity, the making of Hindu and Jewish selves and communities in modernity, as well as the intersection of religious traditions with colonialism, social movements, and globalization. Other projects have examined the adoption and re-visioning and re-interpretation of Jewish rituals, the religious and political alliances between Hindus and Jews/India and Israel, and, since coming to Minnesota, she has increasingly conducted research on Somali Muslim communities as well. Before setting on the long and winding path of academia, Shana co-authored, with Rachel Dobkin, Educating Ourselves: The College Women's Handbook (Workman Press, 1996). (Ph.D. Harvard University) is Professor in the Religion Department at Carleton College, where he has taught since 2001. 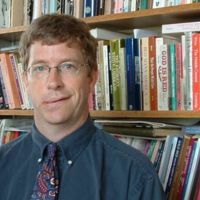 Trained as an American Religious Historian, his scholarship concerns the religions and religious histories of Native American communities, especially Minnesota’s Ojibwe, or Anishinaabe community. He is author of Ojibwe Singers: Hymns, Grief and a Native Culture in Motion (Oxford U Press 2000, MN Hist. Soc. Press, 2009) and Honoring Elders: Aging, Authority, and Ojibwe Religion (Columbia U. Press, 2009) and is currently spending the 2017-2018 year as Guggenheim Fellow completing a book entitled Native American Religious Freedom beyond the First Amendment. All the work here represents a substantive collaboration between community members, faculty, students, and staff. Based on community members' requests, they have been credited by name or remained anonymous in the profiles of each project. We are grateful to every person who took the time to speak with us and share their insights, perspectives, stories, and the histories of institutions and places. Students at Carleton College, with a number of Macalester College students, are the key contributors to the project's web content. Student authors are identified and credited on the initial page of each site. Particular thanks to Ken Albers and Austin Mason for Omeka customization.